So far this year, I’ve read 159 books. I know: mental. Looking at the Goodreads Challenge 2015 tab is really fun (and scary) because some people have read over 200 books, and haven’t just finished the ‘Sailor Moon’ manga, or picked up ‘Ottoline Goes To School’ to fill out their challenge like me! After eleven months, with only one more to go before 2016 is upon us, I’ve started to think about how much I read and whether I’m happy with it. Sure, reading over 100 books a year is an extreme achievement (and I’ve given myself, like, twelve gold stars) but did I enjoy all 159 of those books? Sometimes it feels like I was only reading for the sake of reading. For the thrill of finishing another book. The Goodreads Challenge, clicking ‘Read’ and the little star buttons, updating my status…it’s all made me an achievement junkie. It doesn’t matter if I’m only reading what turn out to be 2 stars books, as long as it contributes to my end of year total, it’s good. Next year, I want to read less books. I want to be genuinely interested in everything I read, pick it up because I think I’ll enjoy it, not because it’s under 300 pages or could be read in one sitting. A few of the books I’ve taken a chance on this year have been AMAZING, like ‘Fire Colour One’ by Jenny Valentine, but others, like ‘P.S I Still Love You’ that I was reading for the sake of finishing the series, wasn’t. It might be radical, but by December 2016, I want to be able to look at all the books I read and think ‘Yeah, I wanted to read that.’ Of course, not all books can be diamonds. Finding 100 five star books in a year would be impossible, BUT I want to have that drive to read. What do you think about reading literally tonnes of books? Do you genuinely want to read every book on your shelf? There’s been quite a bit of talk in the YA community recently about representation and diversity. More specifically posing the question of “is there enough diversity in YA or do we need more?” This sparked multiple debates, where twitter became an angry void for opinions but from the arguments some interesting discussion points were posed. On twitter Meg Rosoff claimed that “good literature expands your mind, it doesn’t have the job of being a mirror.” This is true in the sense that fiction is just that, fictional. I often say that readers don’t owe the author anything, once a book has been released into the world it’s out of the author’s control and is now up to a reader’s interpretation (I believe this partly because my English Literature teacher at A Level was so convincing when he expressed this same opinion.) But do authors owe their readers diverse characters or marginalised points of view? If authors start to become too conscious of the characters that they’re writing perhaps the characterisation would feel too forced or inauthentic. This is probably how the sidekick is normally typecast as a POC/ non-heterosexual character to inject a bit of diversity into a novel, but surely that isn’t enough. If anything these veiled attempts at trying to be inclusive are transparent enough to make readers cringe and complain, even though didn’t they get what they were asking for? Perhaps it’s even worse to continually see POCs and cis-normative characters as secondary / the best friend rather than the actual protagonist. Diversity shouldn’t be written for the sake of making a novel seem edgy or to sell more copies and this is where I disagree with Meg Rosoff’s comment about literature “not having to be a mirror”, because our current society is one of diversity and, across the UK, schools and colleges celebrate the representation of minor students, proclaiming safe environments for everyone. We should write diverse characters into our novels not because it’s trendy to do so but because to do so would be a more accurate representation of today’s youth. That’s not to say books that don’t include a spectrum of gender and sexualities are not worth reading, because it all depends on context. I’m going to focus on YA contemporary novels as historical fiction, fantasy and sic-fi aren’t necessarily written in the same 2015 we’re living in today. Contemporaries set in inner cities (eg. London, New York or California) or areas with large populations should have characters of all ethnic backgrounds, with different races, genders and sexualities, but contemporaries set in small villages in the south west of England aren’t likely to have diverse characters because the majority of the population is likely to be heteronormative, cis-gendered and white. Therefore to criticise of book like the latter example for not having diverse characters would be unjust. It’s also important to note that there are actually incredibly well written and crafted novels that also include diverse characters and maybe instead of complaining that there isn’t more literature like this we should make an effort to find and appreciate the diversity that is already out there. There’s even a Goodreads page for it! Representation is incredibly important and I believe that any author, no matter what race or sexual orientation should be able to write about whatever characters they choose. Write what you know is valuable advice, but it’s also ridiculous and I’m sure many authors and creative writing professors will tell you how ludicrous the concept is, because what kind of a world do we live in if heterosexual white people can’t empathise with (and therefore write about) POCs and all types of sexual orientation? At the end of the day it’s the author’s creative right to decide who they write about, although they should now be aware that diversity and representation is what readers want to see. There’s a reason why books like Everything, Everything, Simon vs, the Homosapien’s Agenda and To All The Boys I’ve Loved Before are favourites among teens. Reading Slumps: You WILL Read Again! I’ve been in a bit of a reading slump for about two months. September was not a good reading month for me, and that was mainly because I was moving out, to go to university, and that happened mid-month. I didn’t read a lot before and I certainly haven’t read anything YA since I got here. 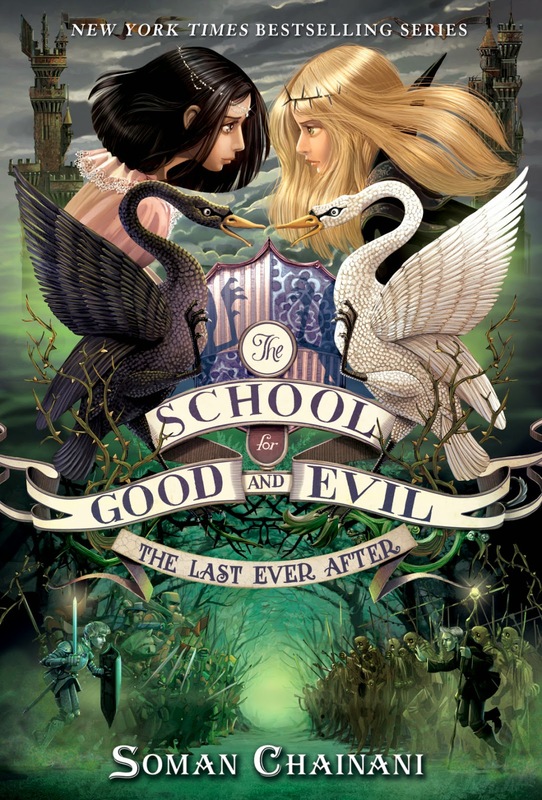 I had three books on the go, ‘The Last Ever After’ (I know, that’s been festering on the list for far too long! ), ‘The Bone Season’ (part of a read-along that shrivelled up because we both weren’t liking the book!) and ‘The Last Sacrifice’ (to complete my finishing series goals.) I’ve read about fifty pages of them collectively in the last month. It wasn’t looking great. I feel like I can see the light at the end of the tunnel! After being away from reading for so long, I finally want to return to the wonderful land of finishing books and wrap ups and discussions. 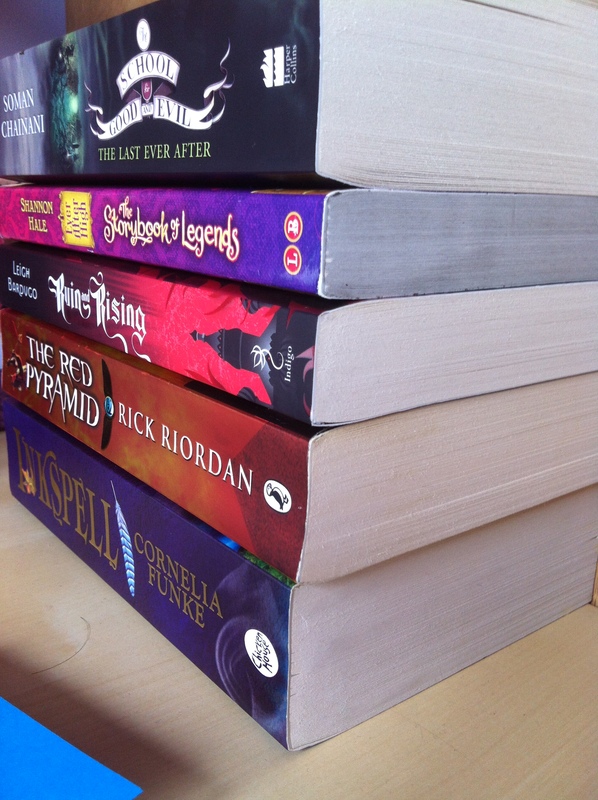 I thought I’d be in this reading slump for…well, three years, up until my uni course is over. BUT, I can safely say, after a month here, I’m ready to dive straight back in the deep end. But, I wanted to write this to let anyone know, who may be going through a reading slump and thinking that they’ll never feel inspiration or desire to read again, you will. Give yourself all the time you need to not read. Sometimes, absence makes the heart grow fonder, and that’s certainly the case with me. I’ve been away too long, and now I want to curl up with a good book. Speaking of which, excuse me to go and do just that! Unfortunately, over the last couple of weeks, I’ve had a little problem…although, perhaps it’s a big problem…I can’t seem to finish the last book in a series. I know! It’s bonkers, as it’s only been a month since I posted about ‘Finishing Lots of Series’. Maybe all that finishing took it out of me, and I no longer have the insane ability to finish the last dregs of a book on my shelf. certainly wasn’t because the book wasn’t interesting! I love the first few chapters, but for some inexplainable reason, I wasn’t able to move past page 76. Maybe it’s because the book is over 600 pages, and that’s always daunting. But even with a book here I can’t see how much left I have to go, due to it being on a Kindle, I still have trouble. 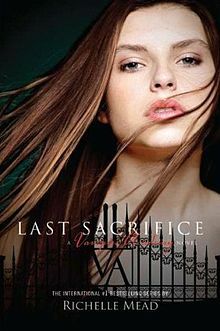 Which brings me on to the second book I can’t finish: ‘Last Sacrifice’, the final book in the Vampire Academy series. be no more books to love, so you better love this one the most. And I tried so hard to finish the VA series. I had three books left, and I read book 4 & 5 back to back. I think not finishing ‘Last Sacrifice’ was more circumstantial. I moved out, and moved into my university dorm. Reading got pushed to the wayside while I packed up my favourite books and reorganised them on birch wood shelves. I did take both books with me to finish. Fingers crossed I manage to get them done! Are there any last books in a series that you can’t finish? Recently, Bee and I have been diving into some new web series. We were absolutely addicted to ‘Nothing Much To Do’, an adaptation of ‘Much Ado About Nothing’, our favourite Shakespeare play, that we were excited to test the waters for new literary obsessions. What was so beautiful about NMTD was that we could understand all of the references and nods to the original text because we’d read it before. It was such an enriching experience, and great to see all characters showcased, even Dogberry and the Watch and Balthazar, over a multitude of YouTube channels. It seemed like nothing was cut from the adaptation, and you got to experience everyone’s point of view. I was worried to start new series because I thought I wouldn’t enjoy them as much if I wasn’t already familiar with the primary text. But it turns out, literary web series are a great way to inspire and encourage you to read the original material! My favourite, most recent, discovery is ‘From Mansfield With Love’, an adaptation of ‘Mansfield Park’ by Jane Austen. This seemed like one of her most underappreciated novels, because I’ve only really heard of ‘Pride and Prejudice’ and ‘Emma’ most frequently. 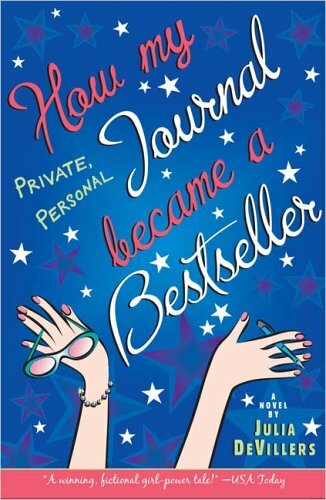 I was excited to discover a love, which could be more original than loving ‘The Lizzie Bennett Diaries’, that as soon as I’d caught up on the current, beautiful 45 episodes, I dived straight into the novel. A novel, which could have been a very slow read, just zipped by with immense amusement. I’ve decided to read along with the web series, because I want the events to be a surprise, but I was surprised that I took so well to ‘Mansfield Park’. FMWL just transformed the novel, keeping me interested and entertained as I anticipated the next section of the book based on the episodes. It was excellently translated on screen, making me appreciate the web series even more. I guess my point is, if you love modern adaptations of literary classics as much as I do, you’ll love them even more if you look at the source material. One can be enjoyed without the other, but together, they create something truly magical, and much more approachable for a 21st Century audience. Isn’t it the worst when you pick up a book that you’re really excited about reading because the blurb made it sound absolutely amazing, and when you finish the book, the book didn’t live up to the blurb’s awesomeness? It’s like someone wrote the blurb, only to realise the alien-robot battle that was promised didn’t make the final cut, but decided to leave it in there anyway! On the other hand, has anyone ever tried to write a blurb, either for a book you love or for something you’re writing yourself? It’s super hard. Trying to make everything sound awesome or mysterious is difficult, especially when the blurb and the title is all the reader has access to in the five minutes it takes for them to decide if they want to buy it on not. My friend is completely confused, and I haven’t even told her about the angsty romance, or the monster in the castle, or the virtual reality. I guess the moral of this story is: I shouldn’t be employed to write blurbs, because when I try and explain a story, it comes out more as a blur rather than a blurb. 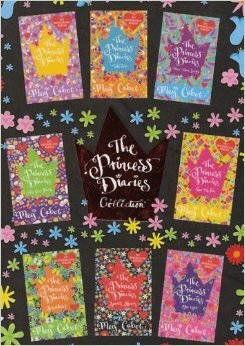 At the beginning of this year, I decided to start reading ‘The Princess Diaries’ series by Meg Cabot. I felt like by not reading it when I was 14, I was really missing out on a great series, and since there’s going to be a new book added to the already massive 10 books, all about Mia’s wedding, that I’m super interested in reading, now seemed the perfect time to pick them up! The Princess Diaries has inspired me to keep up my own diary too! I’ve tried to do it in the past, but it’s all day-to-day stuff that doesn’t mean much to me now. Mia writes about the day-to-day (albeit more exciting than mine because she’s a princess) but she also writes about her feelings. I think Meg Cabot does a great job of portraying a teenager’s anxieties, even if I think Mia’s slightly too obsessed with her body image and gets panicked over things that really don’t need to be panicked about. They’re the kind of book I wish I’d read when I was younger, because they deal with hard hitting stuff in such a light hearted manner. And it’s not like just because they’re meant to be a teenage girl’s diary, they’re vapid and nonsense filled. Mia writes things like “it was Lily’s own prerogative…” and uses words I certainly don’t! I’m currently reading book five, ‘Princess in Pink’. Has anyone else read and enjoyed this series? I’m liking it so far, but I think Mia’s problems are slightly repetitive. Props to Meg Cabot for writing 10 books, and all, but 250 pages of Mia worrying and whining over something I know will be resolved in the last 20 pages can get a little old. It’s pretty much guaranteed that if you’re a British girl, you spent your childhood reading the likes of Jacqueline Wilson, Cathy Cassidy or Jean Ure from the Children’s section. One of the things I used to worry about when I was younger was what I was going to read once I’d grown out of those books. I didn’t like the idea of going from ‘Sundae Girl’ to ‘Twilight’ and in 2009, the majority of the YA section was being eaten away by vampires and werewolves. But, somehow, among the paranormal, we managed to find our feet in with YA, and thought we’d share with you the books that started us of. Our YA Origin story if you will. 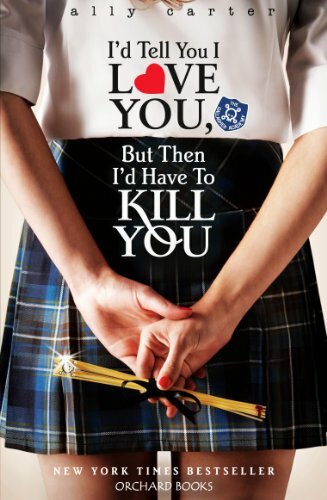 The cover of this book screams ‘I’m-so-cute-read-me-now’ to a thirteen year old. It’s an excellent contemporary, and we recommended as part of UKYA Day! 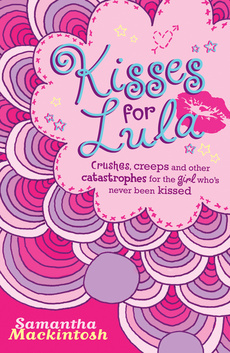 Lula is a adorable and funny character, who gets up to a lot of mischief over the school holidays. There’s romance, a complete make-over, and a mystery to be solved; what more could you want? The title pretty much sums up what happens to Jamie Bartlett in this book. Even though for her it seemed like a nightmare, this was the kind of thing I daydreamed about. Becoming a famous author, doing interviews and TV spotlights and writing articles for big magazines…this book is so inspiring for anyone that wants to be a writer, and always makes me want to power on with my novel! 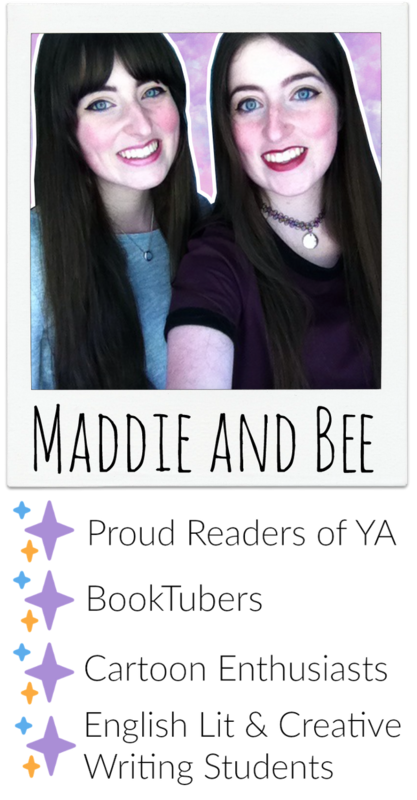 But, it also discusses different friendship dynamics, the woes of high school and internet safety – overall, an excellent read! I will always love this series. 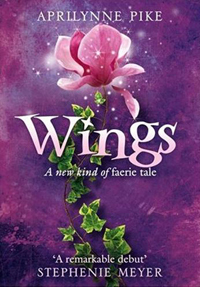 I fondly remember buying Wings and Wild thinking that was the sequel and then having to get my Mum to drive me to the nearest book shop (30 mins away by car) because it was actually the third! Destined was one of my most anticipated releases ever and I just cried and cried! Wings was also the first love triangle I read, so I’d be quite interested to re-read it and see how my opinions may have changed in light of other not-so-successful love triangles that I have read since. This series really rekindled my love of faeries and I can’t even think about what my reading life would be like without these books; I will cherish them forever! It seems that the books I went for as a young teen, all had super long titles. I have such a vivid memory of seeing a girl reading this in my secondary school library and desperately wanting to grab it off her and read it. This Gallagher Girls debut sparked my love of spies and boarding schools, and spy boarding schools. I adored the mixture of a clandestine lifestyle and a secret romance! This book can definitely stand on its own in the series, as the rest of the books take on a more serious tone as the readers, as well as Cammie, got older. Perfect! Wasn’t this just the book for all book lovers? 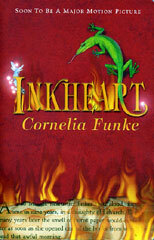 I can’t even describe how much I loved ‘Inkheart’ when I first read it and how much I wished I could reach characters out of books, or, even better, read myself into books! I think this was the first book of over 500 pages I’d read too, so holds a small record in my mind. I must get on to reading the next in the series – it’s really interesting that more characters are adults rather than children. 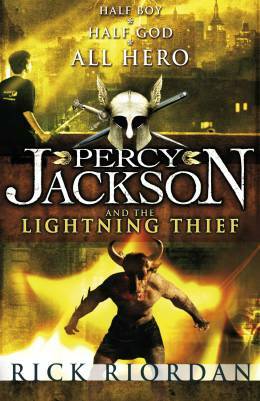 While Bee managed to get through ‘Order of the Phoenix’, and I was still stuck on Hagrid’s Tale, I moved on to Harry Potter’s American equivalent: Percy Jackson. I was interested in watching the movie when in came out in 2010, but thought I’d better read the book first, and, boy, was I glad I did! Although this golden cover is no longer available to the world, it will forever be one of my favourite things I found as a young teen, and has given me the wonder that is ‘Mark of Athena’. Excellent for any age, PJATO is something I think I’ll always come back to when I’m in need of adventure!